 The Prototypes @ Let It Roll 2017 | DNB Magazine - Premiere Drum & Bass news and reviews. I know this has been out for a bit but I had to post this. An amazing set from one of Drum & Bass’s best duos, The Prototypes, as played at Let It Roll Winter 2017. No Comments on "The Prototypes @ Let It Roll 2017"